Hey there, sweet thang! I hope your week has started well :) Mine has, although the new house has had some work done since I've been here, and I've just been told they're coming back bright and early tomorrow to do even more. Hooray, waking up early is *awesome* :P buuuut the place should be lovely once it's all done! 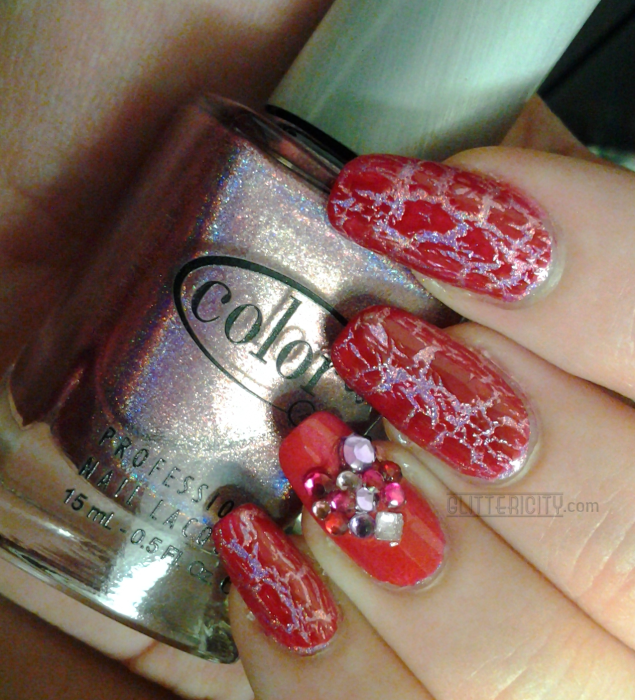 Today I have a funky-yet-sweet look on my nails. 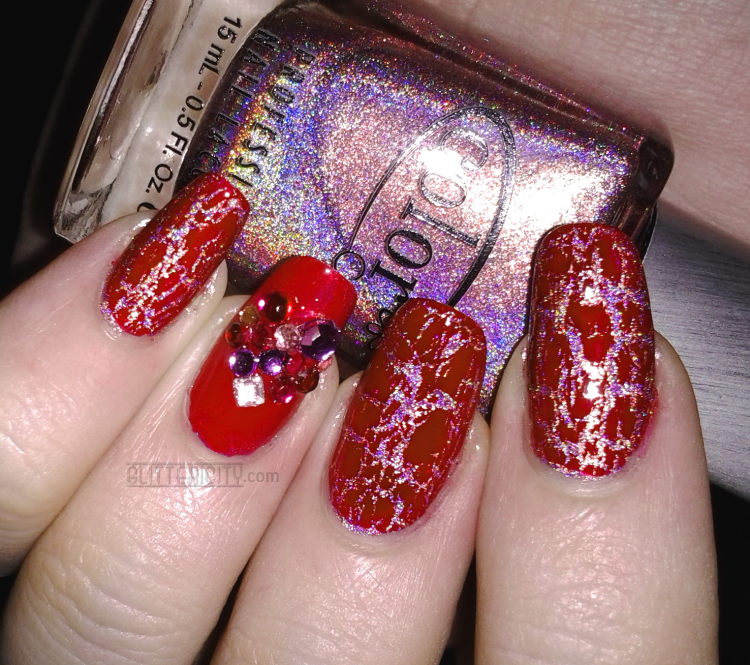 Pink holo, red shatter, and some gems make a cute Valentiney mani! 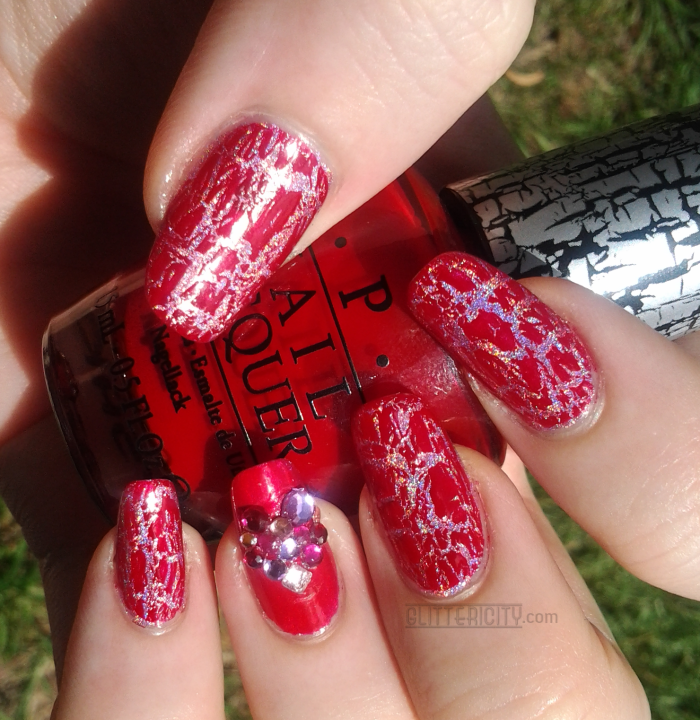 Once that was fully dry, I added a coat of OPI Red Shatter over all the pink nails. 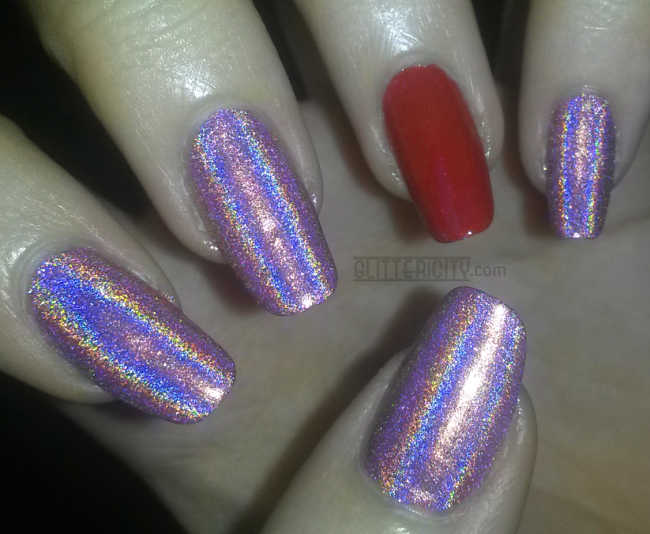 As much as I hate covering up holo, I think the rainbow bits peeking out from the cracks of red is so cool! 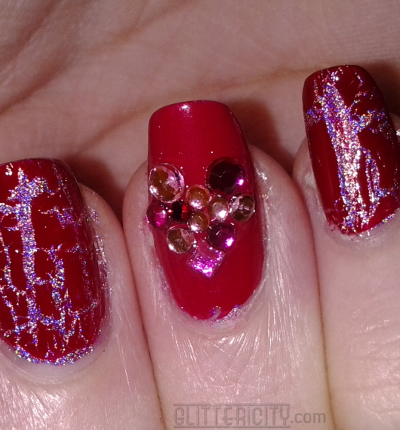 Last, I used clear polish to adhere some small gems in different shades of pink onto the red nail in the shape of a heart :) Topcoated with KBShimmer Clearly on Top. 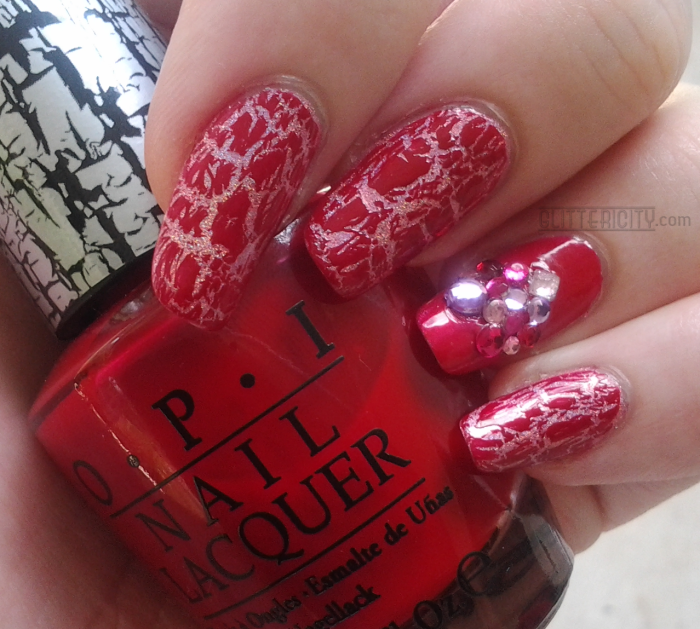 And last, here are some shots in different lighting of the full mani. 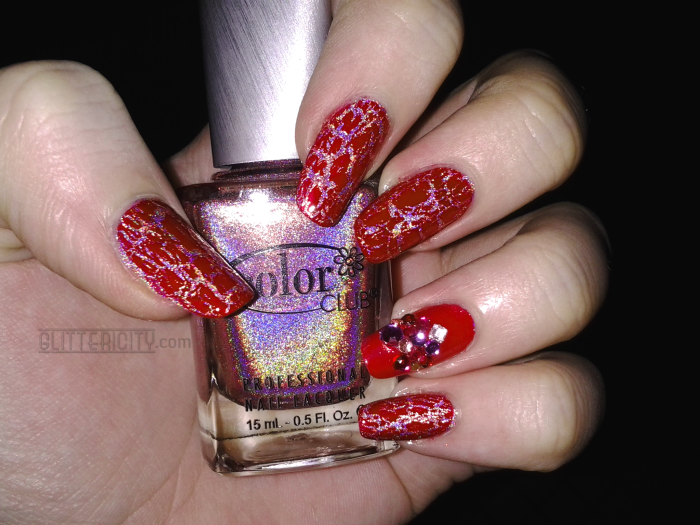 I really love how different it looks in each area!